As of 01.01.2019, CONEX Die Solutions AB is part of the schwartz group. The Swedish manufacturer of press dies for sheet metal forming, with head office in Luleå, Sweden and another site in Kalix, Sweden, specializes in die making for press hardening processes. We would like to extend a warm welcome the employees of CONEX Die Solutions AB and look forward to a successful cooperation. schwartz was again confirmed by the world market leader index (Rödl & Partner/University of St. Gallen) as the world market leader in the field of heat treatment plants for the press hardening of steel. The Rödl & Partner World Market Leader Index Germany relies on an objective and transparent selection process and regularly determines the world market leaders in cooperation with the University of St. Gallen. 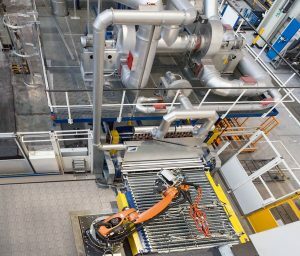 At the beginning of the year, the schwartz heat treatment system for press hardening, which was installed at a major German car manufacturer’s site in 2009, was handed over to our customer following an extensive conversion job. With partial heat treatment, the last function offered by this production plant is now also operational in series production. On August 1st, our training year also began. 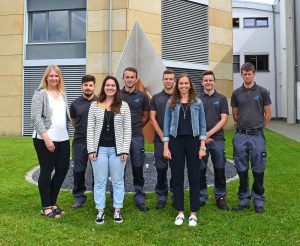 This year, six trainees started their careers at schwartz GmbH. 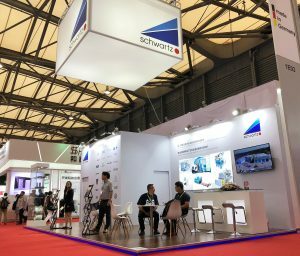 From July 11th to 13th, our Chinese subsidiary, schwartz HTS, was an exhibitor at Aluminium China in Shanghai. Our Chinese colleagues presented our heat treatment plants for aluminium sheets, forgings and castings to numerous national and international visitors.